Most China experts agree that China is changing. But there is little agreement about how it will change. Change in China is compelled by several factors. The one-child policy dictated by the government has led to a demographic imbalance with fewer than desired young people from whom the labour force is recruited. Also, better education and more exposure to global trends has created anger and frustration among workers whose parents were very different – hard working and unquestioning – that helped create China’s economic miracle. The first sign that China’s workers were getting restive came about from a suicide that was highlighted by New York Times. The dead body of a 19-year-old worker, Ma Xiangqian, was discovered. Investigation revealed that during his last month he worked three times the legal limit of overtime. His work conditions and treatment meted to him were horrendous. Subsequently a dozen other suicide cases among workers occurred. Analysts believe that China’s notoriously cheap and ill treated work force that allowed Beijing to exploit it as a goldmine has ended. Already wages have gone up and are expected rise further. This means goodbye to China’s previous virtual slave labour that attracted foreign investment and enabled multinational corporations to rake in huge profits. Also, higher wage raises production costs to push up prices of most consumer goods that China exports. Presently Chinese economy runs on its exports. If higher priced exports shrink Beijing must find alternative markets to sustain its economy. The increased wages of workers are not sufficiently high to make them consumers who can replace export markets. And according to experts the workers will remain inadequate consumers for one more decade. This then is the economic challenge that Beijing faces. But China’s rulers are wisely attempting to convert this challenge into opportunity. Beijing announced a raise in minimum wage to placate the growing assertiveness of workers. This will stimulate domestic consumption, make China less dependent on low-priced exports, and help reduce the dangerous gap between the rich and the poor. 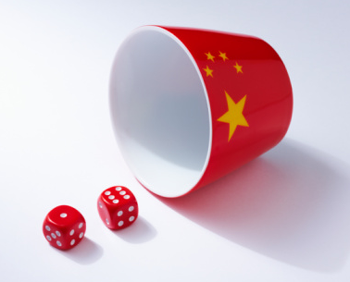 One does not see any insurmountable challenge to China’s economy. The challenge however will be political. As the gap between the rich and the poor, however gradually, continues to narrow, as workers and peasants increasingly question authority and assert their rights, as even a stifled Internet makes dissent more vocal, China will have to soften its system. This is where there could be a few hiccups. Here again, problems in the Communist Party government appear open to solution. President Hu Jintao and Premier Wen Jiabao belong to an older generation and were earlier members of China’s Communist Youth League that was very active during China’s infamous Cultural Revolution. Even between Hu and Wen there is a distinct difference of nuance. The latter was personal aide to Zhao Zhang who was pro-democracy and strongly opposed the Tiananmen massacre. Hu on the other hand was selected by Deng Xiaoping to administer Tibet which he did with uncommon ruthlessness to lay the foundation of Tibet’s current bitterness. Yet, Hu and Wen seem to get along well enough. However, soon both will be replaced by a younger leadership. The new leaders are expected to be Xi Jinping and Zhou Youngkang. Both are described as “Princelings”, the progeny of the Communist elite that participated with Mao but disagreed with his hard line approach. Both Xi and Zhou through their public pronouncements hold out hope of a more soft approach. According to reports the Princelings have begun interacting with younger elements of the PLA to modernize and professionalize the army. If they do not succeed in taming PLA China could implode. Taming PLA may not be easy. Witness how North Korean army recently killed three Chinese civilians. Could this have been done by defying PLA? Is that why Beijing’s reaction was so low-key? The litmus test of a new soft China will manifest from how Beijing handles Arunachal Pradesh, as distinct from the rest of the boundary dispute. In 2005 Beijing gave written assurance that it would not disturb settled populations on the border. Later it reneged on its word. One must also watch how Tibet and Xingjian are handled. Only an inflexible self defeating approach can explain Beijing’s hostility to Dalai Lama despite the latter’s conciliatory statements. The quicker China changes, the faster it will grow. Will Beijing’s new leaders successfully introduce change? I believe they will. Ultimately China is too big, the stakes are too high, the survival instincts of its smart leaders are too strong, to allow China to implode. But transition to softer China may not be entirely smooth. Soft China would of course promote its hegemonic ambitions more effectively. Beijing, after all, replicates Hitler’s model minus anti-Semitism.